This Armagnac has beautiful complex palate, caused by years of maturation, which is dominated by licorice and plum. matured in French oak. Orangey amber in colour, it has a bouquet of fresh yellow plum and vanilla with hints of orange peel. On the palate, it's plummy and rounded with spiced, woody notes. 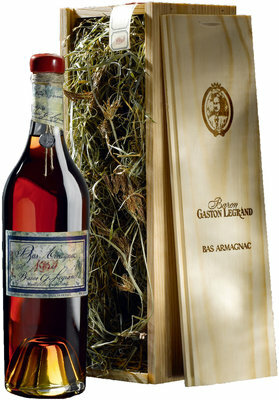 Delord Fine Armagnac is aged for a minimum of two years in oak. Fruity with a taste of fresh apple and grape. A warm and supple Armagnac. The basis for the VS., the use of the Ugni Blanc and Folle Blanche grapes. These give the VS its scent of vanilla, plums, ripe fruit and especially lilacs, lavender and acacia.